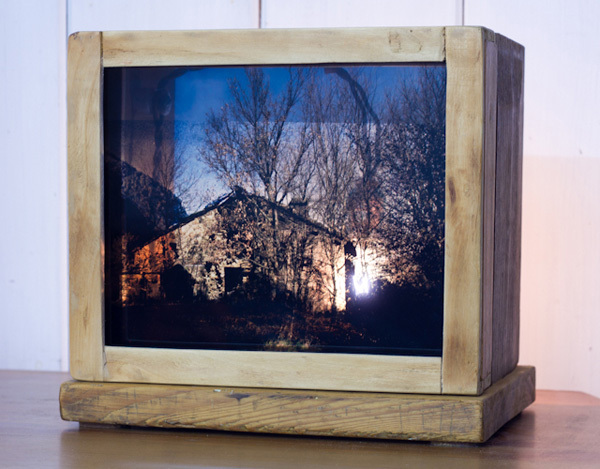 This photo-light-box can be used or with artifical light or with natural light. 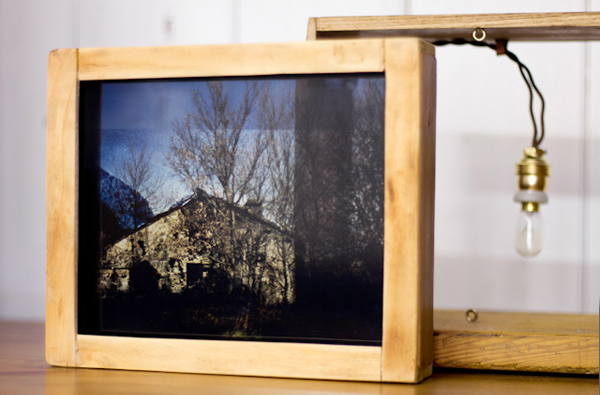 The picture shows two historical moments of an antique house in the Italian Appenines: 30 years earlier in black and white and in 2009 in color. Both images are put together, so that the broken roof could be reconstructed again, in a digital way. Dimensions: cm L 23 x D 5 x H 19 (photo-frame) / cm L 25 x D 17 x H 22 (light-box) | unique editions of 7 + 1 a.p.